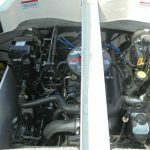 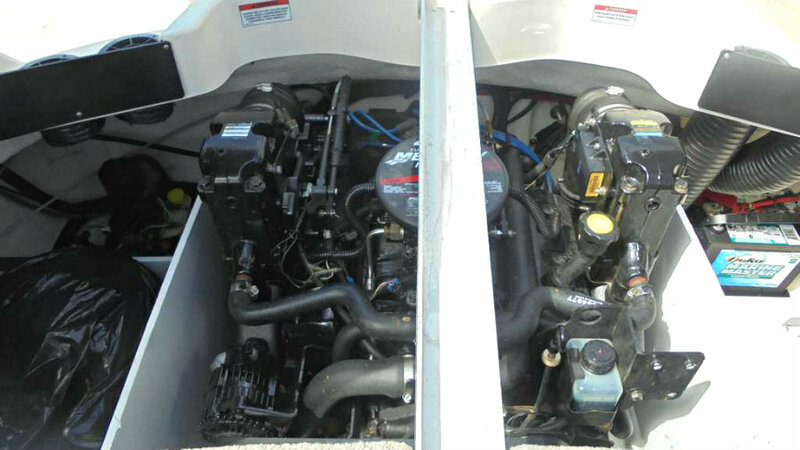 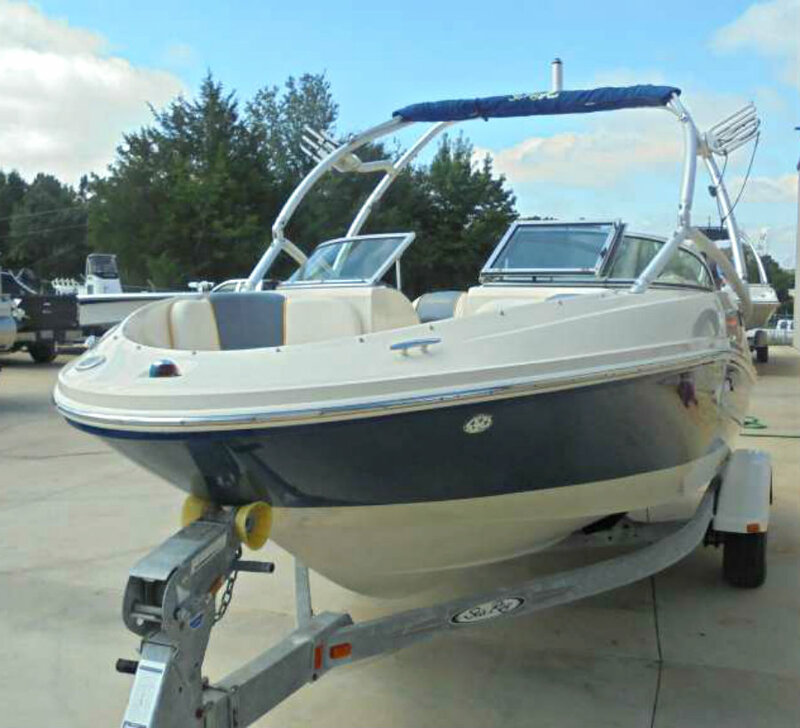 2007 Sea Ray 185 Sport Bowrider powered by a 4.3L V6 190hp Mercruiser engine with an Alpha One sterndrive leg and only 146 hours of FRESHWATER use. 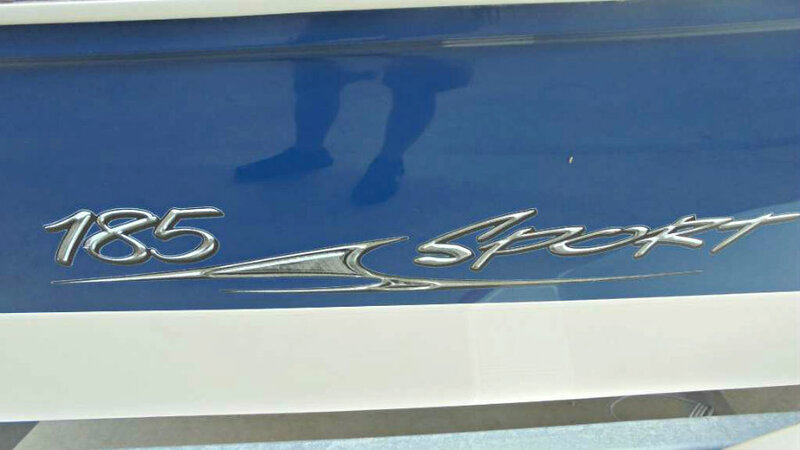 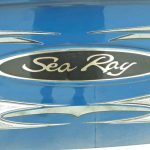 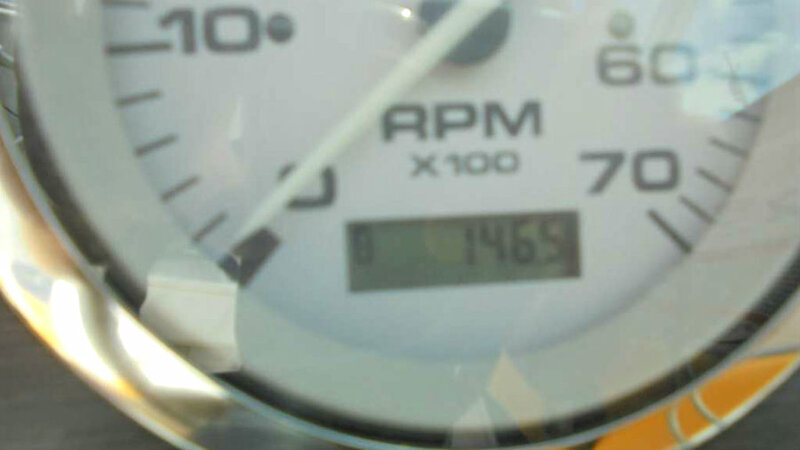 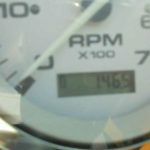 Sea Ray had a lot riding on the 185. 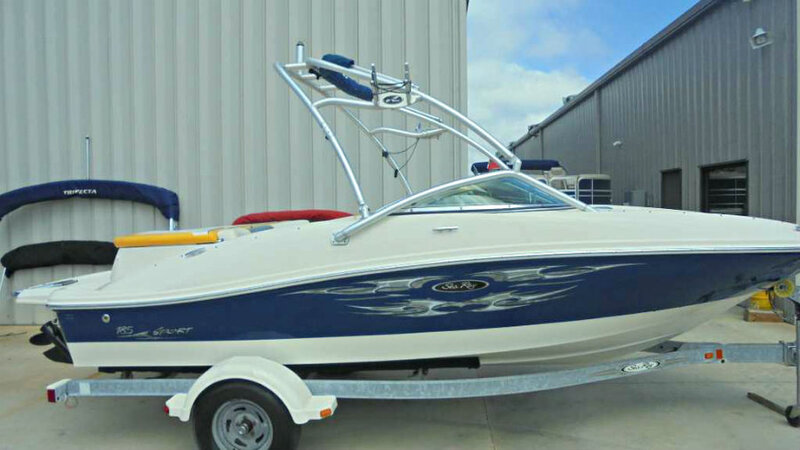 It’s a boat like this that many times will be the first boat a person ever owns. 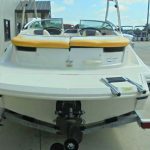 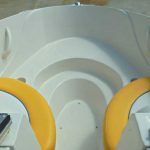 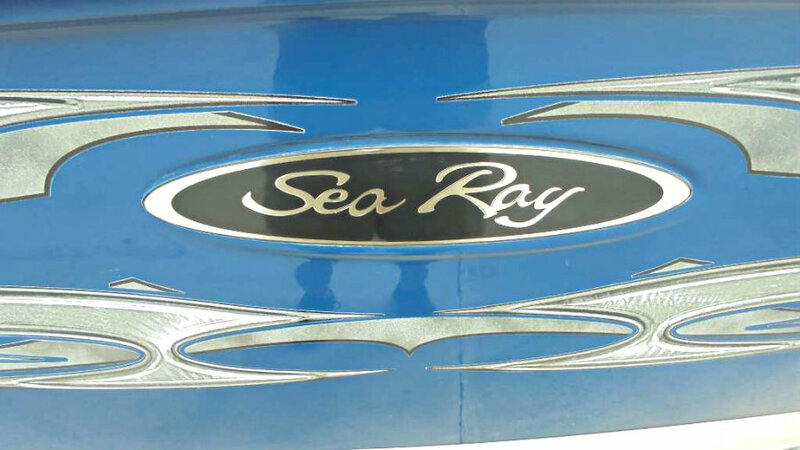 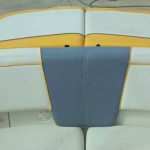 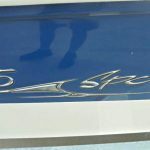 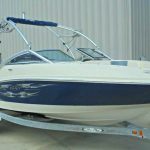 If the experience is positive and the person decides to make a bigger investment in the boating lifestyle, his first inclination will probably be to look at a bigger Sea Ray. 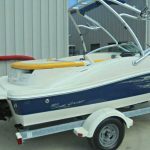 If he buys that one there’s a good chance that he’ll own nothing but Sea Rays for the rest of his boating life — and it all started with being happy with the 185. 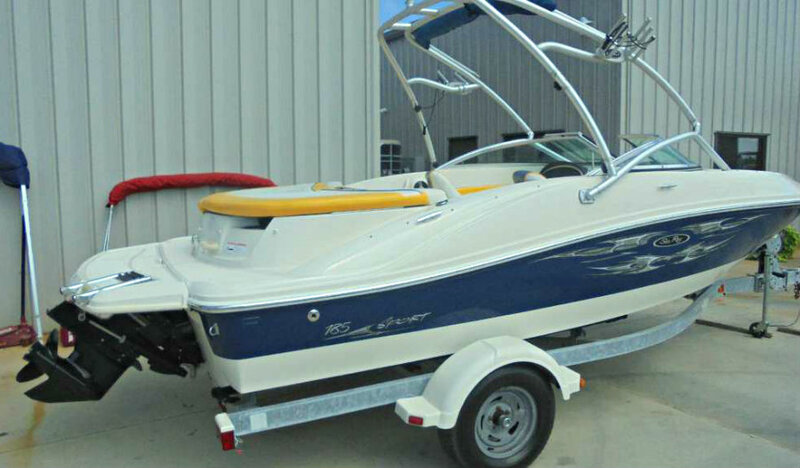 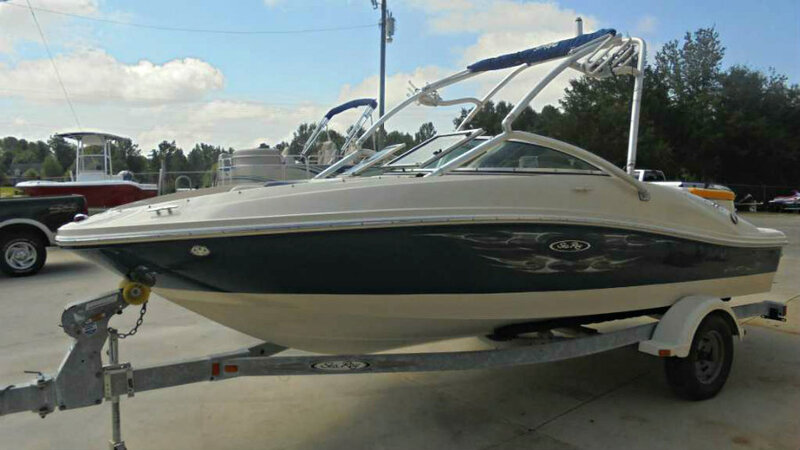 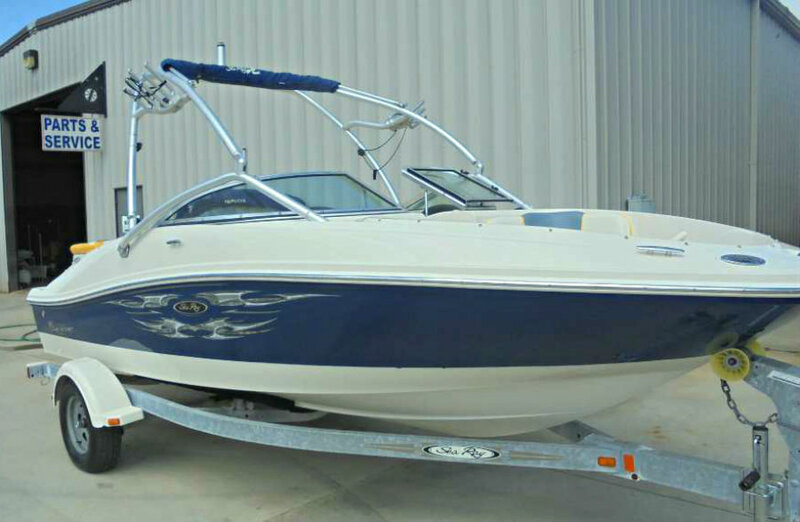 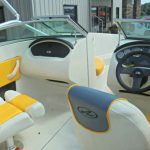 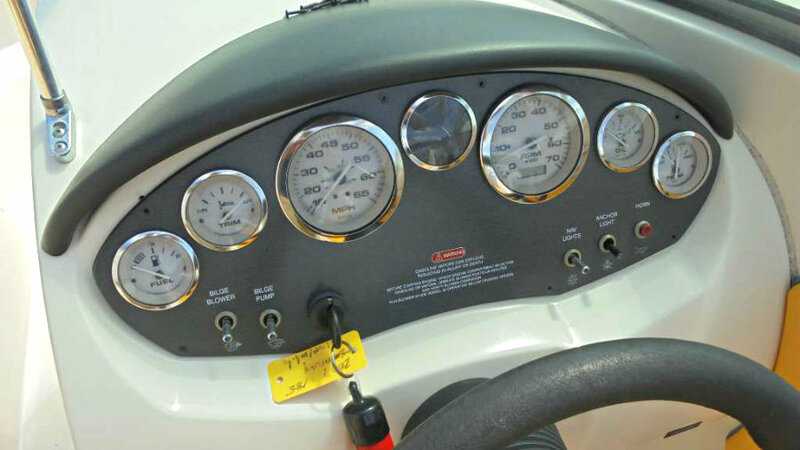 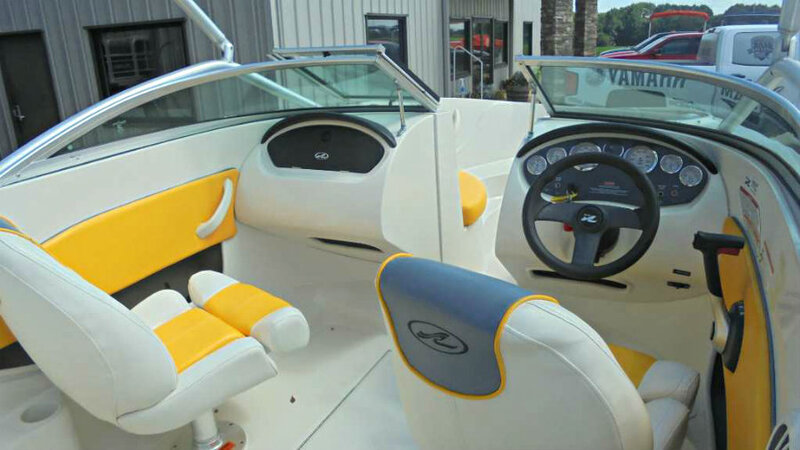 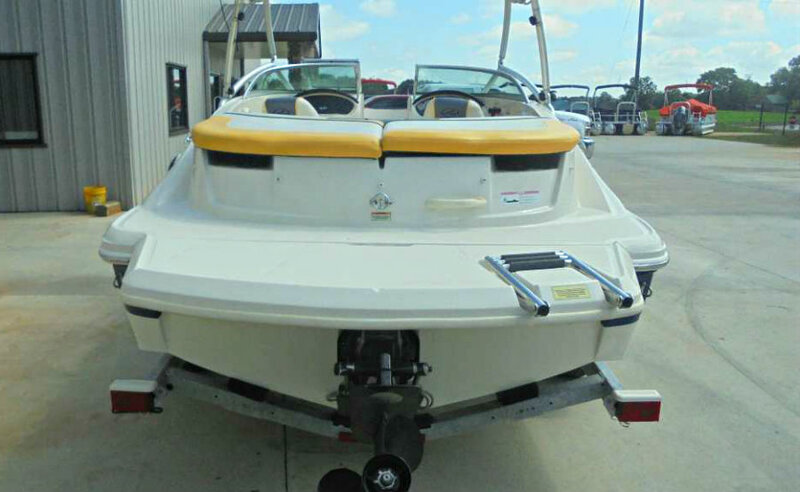 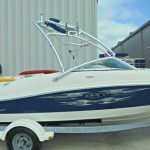 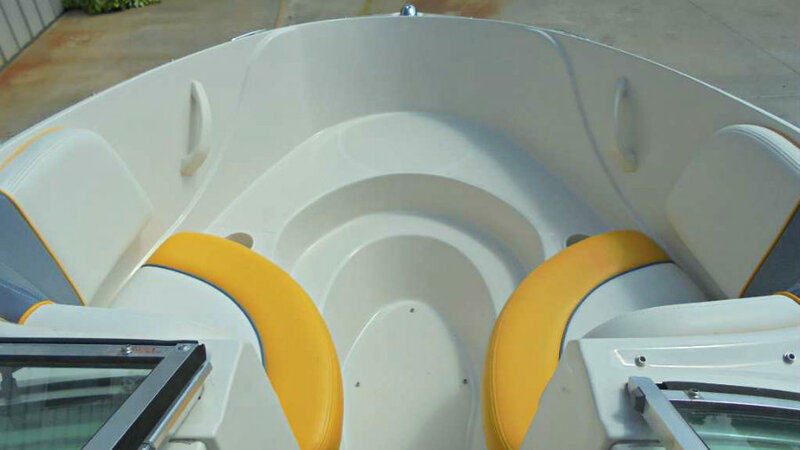 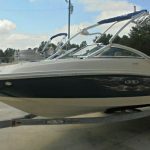 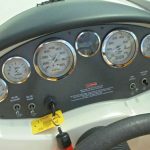 This 185 is the ‘Wakeboard Package’ model , which includes a tower with an integrated bimini top, board racks, snap-on bow & cockpit covers and extreme tone graphics. 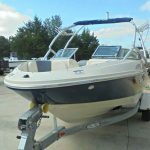 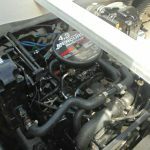 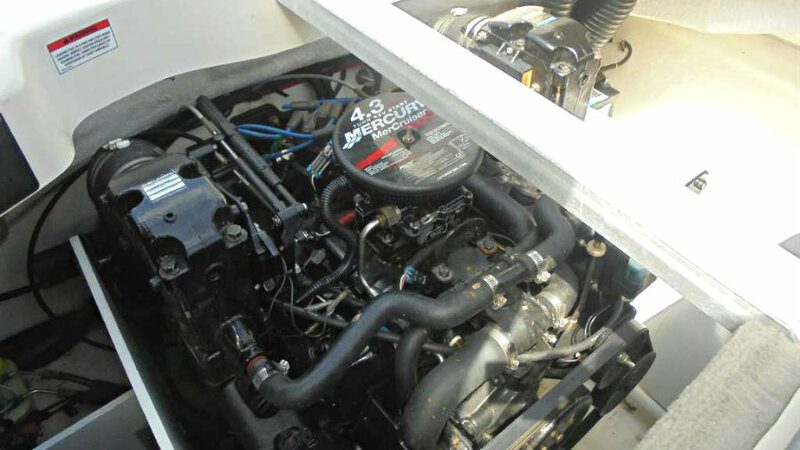 It is a lovely FRESHWATER boat and shows true pride of ownership, with diligence to maintenance and care, and features the upgraded V6 190hp engine.